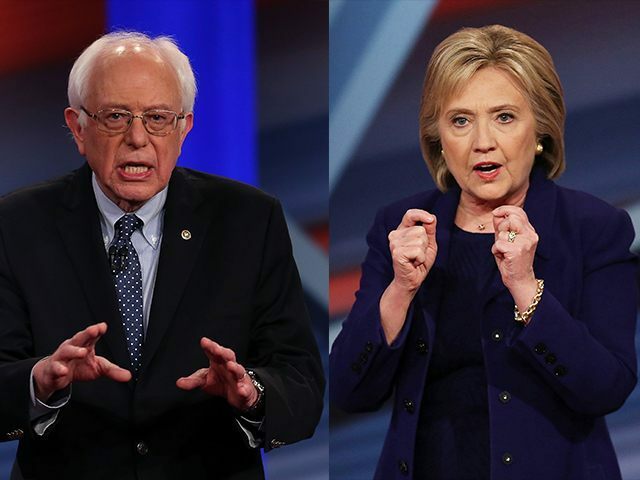 TEL AVIV – After losing in New Hampshire, there are indications Hillary Clinton will use Sen. Bernie Sanders lack of significant support for the Jewish state as a campaign tactic to woo Jewish and pro-Israel voters. The newspaper quoted Paul Hodes, a former New Hampshire congressman who rallied for Clinton at her post-primary event, indicating the campaign may attack Sanders regarding Israel issues. It is ironic that the first Jew to win a U.S. presidential primary is open for assault on the issue of Israel. Sanders has largely been silent about Israel on the campaign trail. As Breitbart Jerusalem reported earlier this week, Sanders over the weekend admitted to seeking foreign policy advice from critics of the Jewish state. While the George Soros-funded J Street describes itself as a liberal, pro-Israel lobby, it has faced mounting criticism for the policies it advocates, which many argue are harmful to the Jewish state. J Street supports the international nuclear accord with Iran, an agreement Prime Minister Benjamin Netanyahu heavily lobbied against on the grounds of Israeli and U.S. national security. Meanwhile, in a July interview, Sanders was directly asked by Ezra Klein at the left-leaning Vox whether he considers himself a Zionist, meaning supportive of a homeland for the Jewish nation. “A Zionist? What does that mean? Want to define what the word is? Do I think Israel has the right to exist? Yeah, I do. Do I believe that the United States should be playing an even-handed role in terms of its dealings with the Palestinian community in Israel? Absolutely I do,” he replied. Again, I think that you have volatile regions in the world, the Middle East is one of them, and the United States has got to work with other countries around the world to fight for Israel’s security and existence at the same time as we fight for a Palestinian state where the people in that country can enjoy a decent standard of living, which is certainly not the case right now. My long-term hope is that instead of pouring so much military aid into Israel, into Egypt, we can provide more economic aid to help improve the standard of living of the people in that area. During Israel’s defensive war targeting Hamas’ terrorist infrastructure in the Gaza Strip during the summer of 2014, a constituent commended Sanders for not signing a Senate resolution blaming Hamas for the conflict. The constituent asked if Sanders would “go further,” implicitely asking whether Sanders would criticize Israel’s actions during that war. “Has Israel overreacted? Have they bombed U.N. facilities? The answer is yes, and that is terribly, terribly wrong,” Sanders replied. On the other hand – and there is another hand – you have a situation where Hamas is sending missiles into Israel – a fact – and you know where some of those missiles are coming from. They’re coming from populated areas; that’s a fact. Hamas is using money that came into Gaza for construction purposes – and God knows they need roads and all the things that they need – and used some of that money to build these very sophisticated tunnels into Israel for military purposes. On Wednesday, Haaretz featured an article pointing out Sanders’ lack of participation in organized Jewish life and questioned whether he was an atheist. Sanders has stayed far away from organized American Jewish life both personally and professionally, and the U.S. Jewish establishment in turn had a hard time regarding as one of its own a secular socialist congressional iconoclast who has never belonged to a synagogue, never appeared at pro-Israel rallies or AIPAC events, and has refrained from returning to the Jewish state since his now-infamous kibbutz stint in the 1960’s. Last week, Breitbart Jerusalem reported that in 1963 Sanders volunteered at a kibbutz in northern Israel as the guest of a Marxist-socialist youth movement with a revolutionary mission. For months, Israeli reporters have been searching for the name of the kibbutz on which Sanders spent several months in 1963. The presidential candidate, who has not been shy about his affinity for socialism, was reluctant to disclose much about his Jewish upbringing or his time in Israel, where he traveled with his first wife, Deborah Shiling. Sanders’ campaign has conspicuously refused to answer inquiries about the identity of the kibbutz. Last Thursday, Jerusalem Post Intelligence and Security columnist Yossi Melman revealed that Sanders volunteered the information about the kibbutz during an interview with the reporter in 1990, while Melman was the intelligence correspondent and analyst for Israel’s Haaretz newspaper. The 1990 interview, discovered in the Haaretz archive, cites Sanders saying that in 1963 he spent several months at Kibbutz Sha’ar Ha’amakim in northern Israel as a guest of the Hashomer Hatzair youth movement, which was affiliated with the kibbutz. The information has garnered some media attention from Israel-themed outlets. Yet not a single news report reviewed by Breitbart News mentioned that Hashomer Hatzair was an openly Marxist movement that sought to use Zionism as the first stage of a utopian plan for Israel. The second stage was to be a revolution that would transform Israel into an Arab-Jewish socialist paradise. Hashomer Hatzair is still around. It currently identifies as a progressive Zionist organization and is a member of the International Falcon Movement–Socialist Education International. The organization, founded in Europe in 1913 to prepare young socialists for the move to Mandatory Palestine, has rebranded its mission numerous times. It was once a revolutionary Marxist organization. Movement members first settled in Mandatory Palestine in 1919 and seven years later founded several kibbutzim as well as a political party called the Socialist League of Palestine. In a lengthy history for the Van Leer Jerusalem Foundation, Hebrew University Political Science Professor and prolific author Shlomo Avineri in 1977 documented the Marxist revolutionary ideology of the Hashomer Hatzair movement. It bears testimony to the historical essentiality of Marxism in those years, which saw a new wave of Marxism that was to grow and intensify until it reached its political peak in the 1950s, whereupon it would disintegrate in face of political reality. Hashomer Hatzair saw Zionism, or support for a Jewish national homeland, as an entryway into the Jewish state in order to accomplish a socialist revolution in two phases. It enumerated this mission by creating its own “Etapist Theory,” according to which “Jewish socialist society would be realized in two stages,” wrote Avineiri. In the first stage, the Jewish national home would be established in Eretz Israel, based on a productive and self-sufficient economic foundation. In the second stage, the social revolution itself would be accomplished. The function of the Zionist movement and Zionist cooperation was limited to the first stage only; it would be terminated after the economic, cultural, and political foundations had been laid in Palestine, and after the national funds, based on national donations, were no longer required. Partnership with the Zionists was therefore considered only temporary. The social revolution was to be realized, however, by the international organization of the workers, i.e. Jewish-Arab collaboration. This “theory of stages” formulated by Meir Yaari had many advantages for HH. It could continue to participate in the Zionist Organization, to build socialist cells within the framework of the existing regime, and, at the same time, to maintain revolutionary radicalism. While that radicalism may now be tempered, the group continues to maintain its socialist identity. In 2008, Haaretz reported on the continuing efforts of Hashomer Hatzair to spread socialism in Israel and worldwide. The newspaper reported on a world conference marking the movement’s 95th anniversary that attempted to update the organization’s basic tenets. Participants in the 2008 conference could not agree on which style of socialism to adopt. “While Latin American graduates favored classic socialism, the European delegates sided with democratic socialism,” reported Haaretz. According to Dana Merweiss, from Argentina, the way to implement socialism today is by education and creating communities with socialist awareness. Levine said the movement in the past required its members to work within its community, but today “we say we should also work outside our community as part of the fulfillment of the principle of socialism. In Argentina we work in poor neighborhoods, Jewish and non-Jewish,” he said.